Hero MotoCorp is finally going to enter 125 cc scooter segment in India with Destini 125 and Maestro Edge 125. The company has officially showcased the upcoming scooters to dealers at an event in Buddh International Circuit. Hero has renamed Duet 125 as Destini 125, but the design and specifications are going to be same. The Destini 125 and Maestro Edge 125 made their debuts at 2018 Auto Expo and the company revealed earlier that they want to launch new scooters during festival season to capitalise on the sales rush. The upcoming scooters were designed and developed at Hero’s Centre of Innovation and Technology (CIT) in Jaipur. 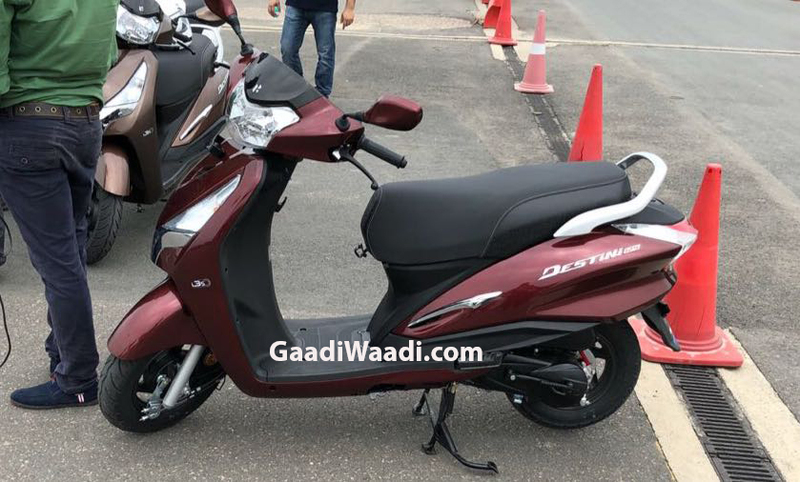 The Destini and Maestro Edge 125 are powered by 124.6 cc, single cylinder engine producing 8.7 bhp of power at 6,750 rpm and 10.2 Nm of torque at 5,000 rpm. This engine is mated to Variomatic Drive automatic transmission. To improve efficiency, the company has given i3S idle start/stop technology, which is already used in other products and we can expect class leading mileage. Hero could offer drum brakes at front and rear as standard with front disc brake as optional, or the front disc/rear drum setup could be the only choice. The scooters may come with Integrated Braking System (IBS) and this will improve braking performance. Both Destini and Maestro Edge are equipped with telescopic front forks and hydraulic shock absorbers at rear. The company has given analog-digital combination for the instrument cluster and they run on 90/100-10 section tubeless front and rear tyres. Both Destini 125 and Maestro Edge 125 come with LED tail lamp along with external fuel filling, boot light, mobile charging port and more. Hero has given an evolutionary design theme for both scooters compared to their 110 cc siblings. The Destini 125 measures 1,830 mm long, 726 mm wide and 1,155 mm tall with wheelbase of 1,245 mm and 155 mm ground clearance. 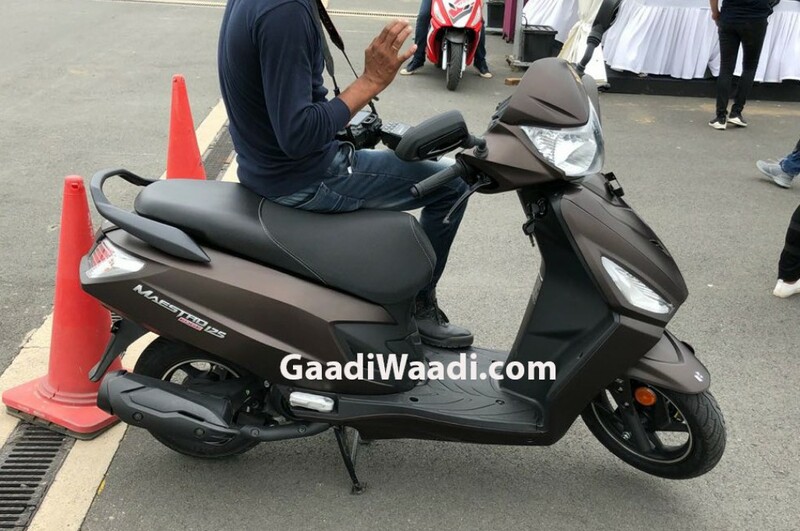 We can expect Hero to price both these scooters aggressively, and they will compete against Honda Activa 125, Suzuki Access 125 and TVS Ntorq 125.